No need to travel far to celebrate Midsummer’s day and the start of the holiday season here in France. 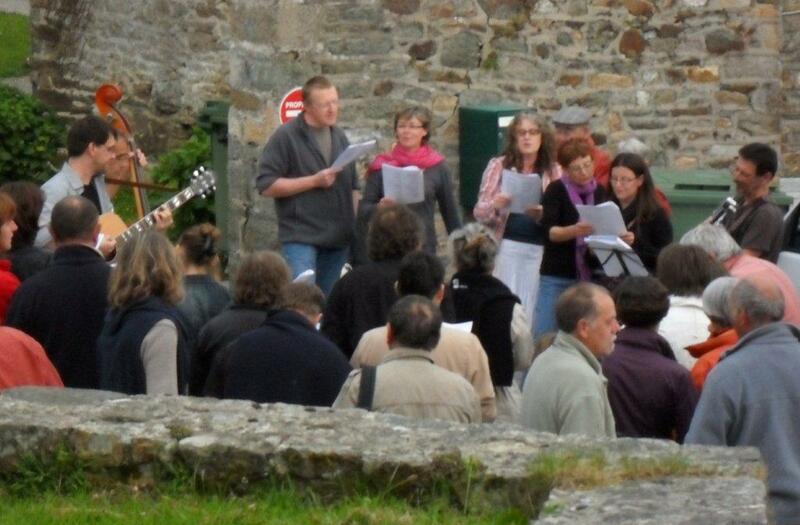 Every major town and city, and many, many smaller towns, villages and communes celebrate the summer with the Fete de la Musique. 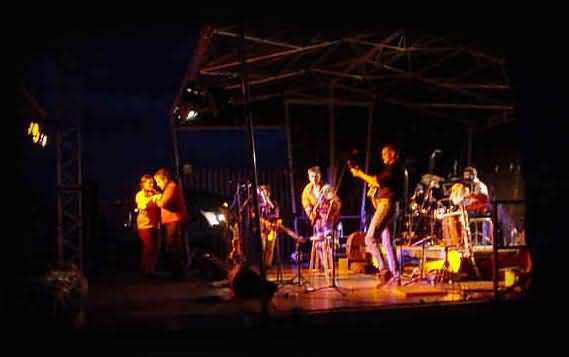 From the spectacular celebrations of Paris, Toulouse, Marseille, Bordeaux and the like; to Caen, to Cherbourg and other smaller cities; it will be a night of celebration of all kinds of music – medieval, folk, classical, pop, rock, indie, techno; you name it, it will be there somewhere. Not to be outdone, smaller towns and villages started the celebrations early. 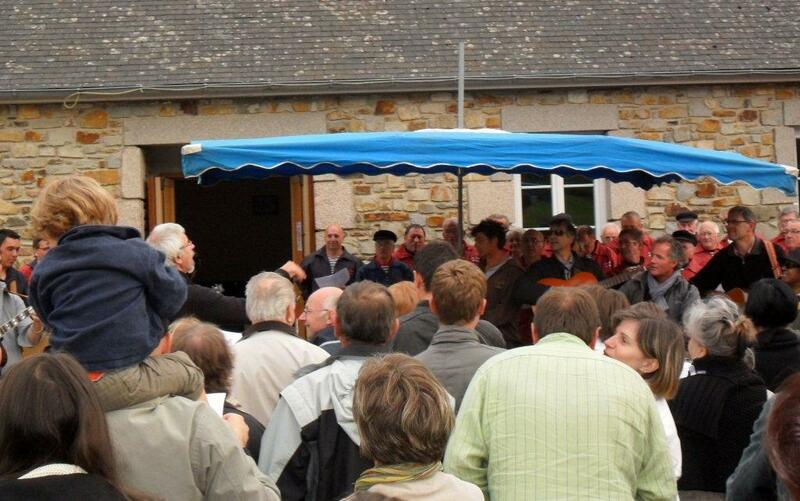 Last Friday saw the choice of three local villages – Surtainville, Le Rozel and Benoistville. 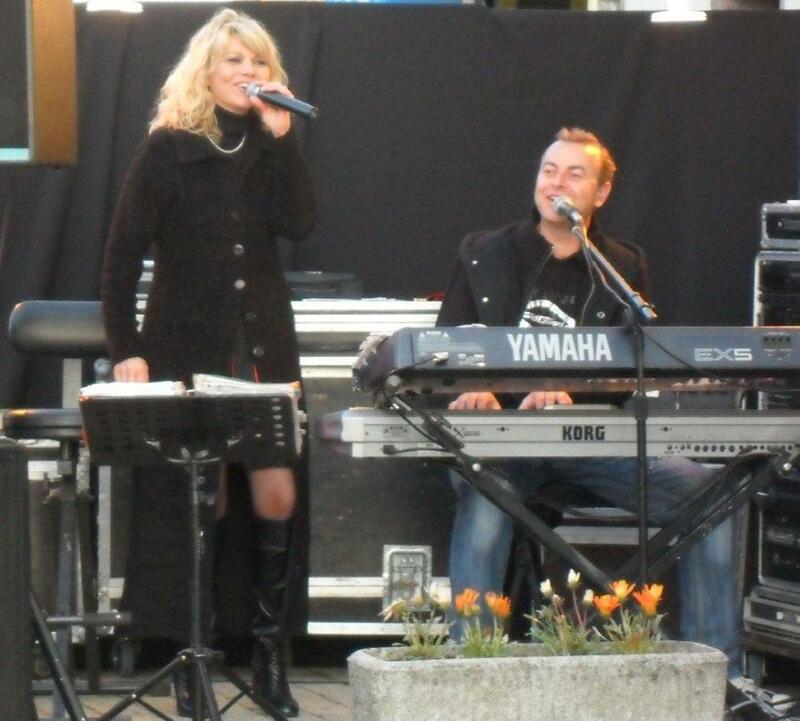 As I was singing with “Dynamique” of Pierreville it was to Benoistville that I went. Entertainment included choirs; small groups with guitars; a large group of musicians who came together for a jamming session; a group of singers who concentrated on songs in the local language – patois; a group of musicians and dancers with traditional instruments. 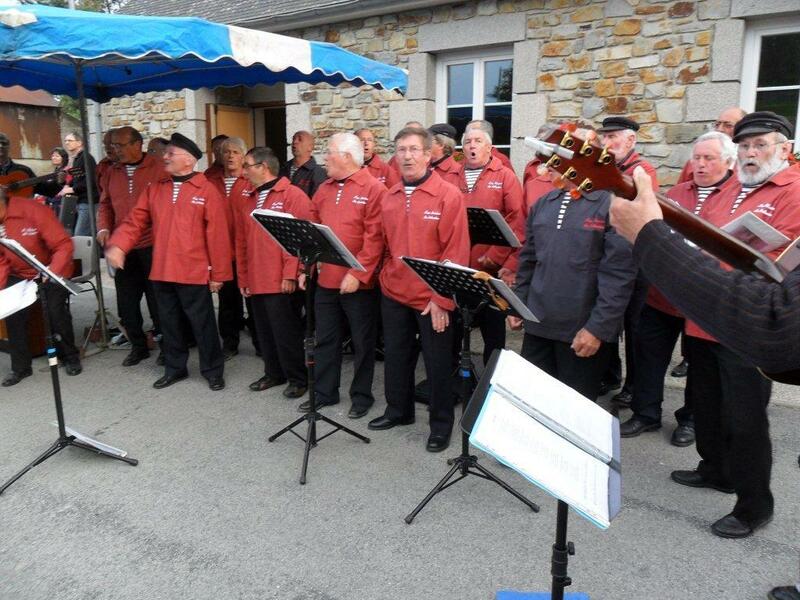 One highlight of evening was “La Chanson de Rue” – a mass sing-in of “Les Copains D’Abord” by the assembled visitors led by most of the musicians and the choir “les Marins de Cotentin”. Today is St. Patrick’s Day, the patron saint of Ireland, but celebrated throughout the world, and here in Manche as in many other areas of the celtic fringes of France. 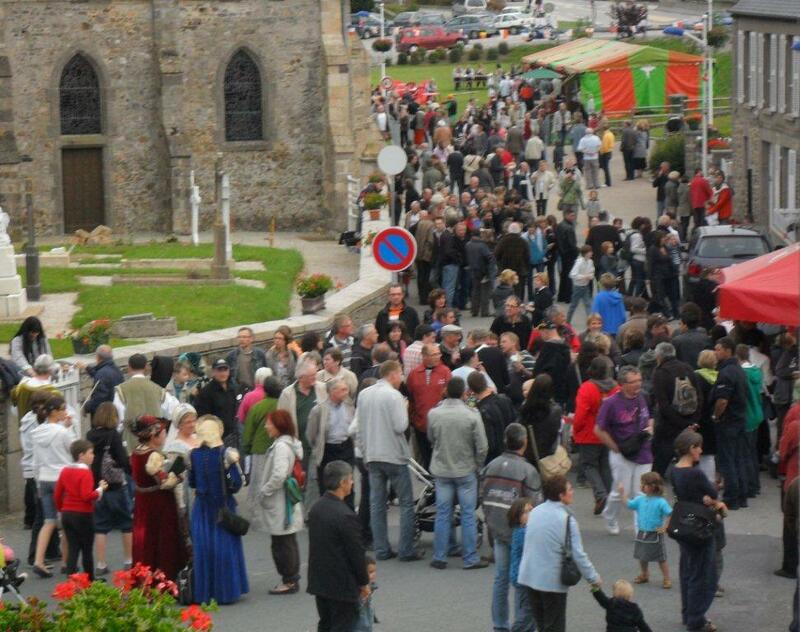 The connection between Cherbourg and St. Patrick might be because of the number of Irish living in and around Cherbourg, or the regular ferries from Ireland into Cherbourg; or probably both. Kilbeggan’s Irish Pub, just off the Place du Theatre, will be leading the celebrations, but most other bars will mark it some way. Last year we were in Cherbourg and happened across a group Mask ha Gazh in the “50s Diner”. 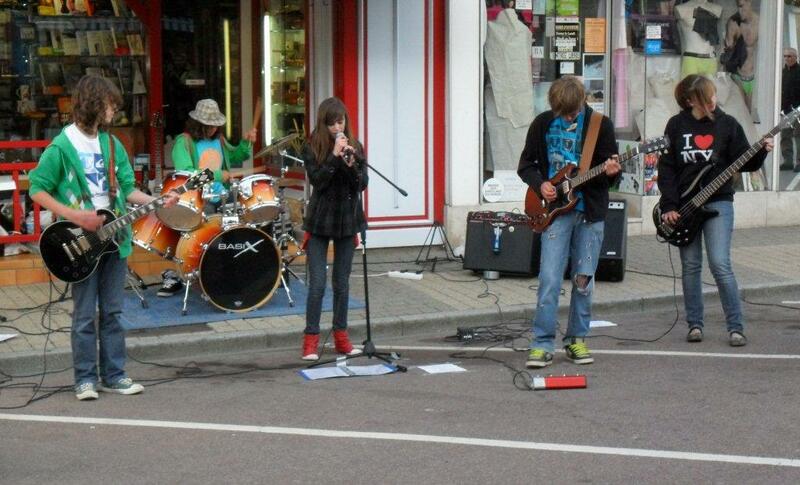 We’d heard them previously in Les Pieux at the music festival 2006. 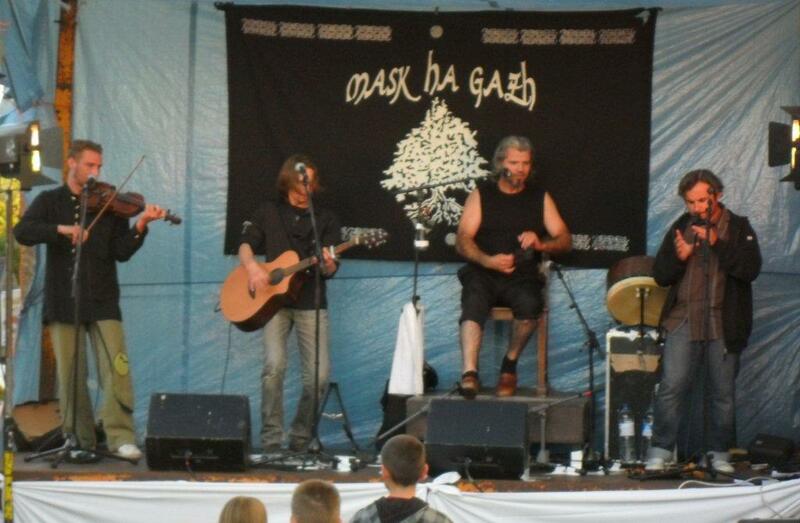 Originally from Bretagne, this group is now based in Normandy, and play their Bretagne version of celtic rock folk. 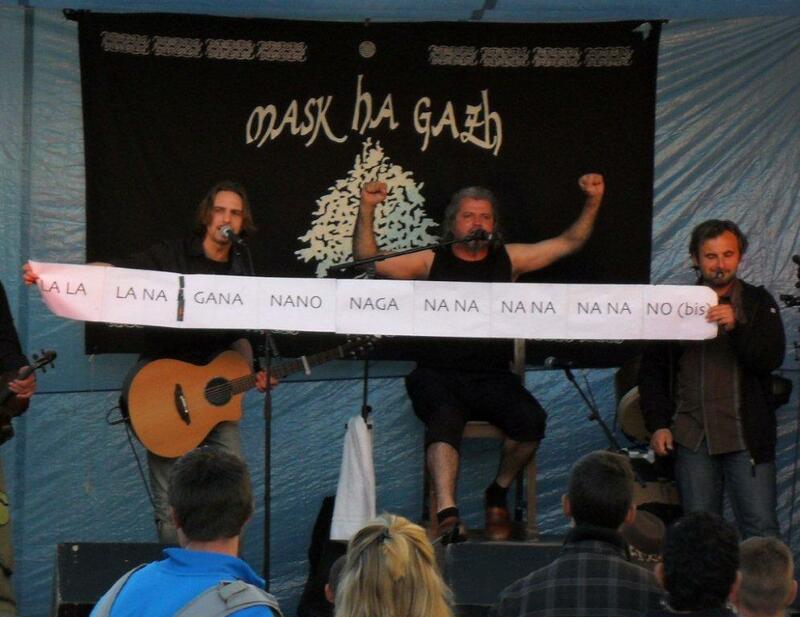 Well worth a listen to, they can be previewed on their website – www.maskhagazh.com. But back to St. Patrick, and the celtic link. Patrick was a welshman, captured and sold into slavery in Ireland as a young man. After his escape, he converted to Christianity, and decided to return to the home of his slavemasters taking his new religion with him. As a missionary bishop he has become part of Irish folklore, giving his name to many notable landmarks, and allegedly responsible for there being no snakes in Ireland. His contribution to Christianity was in using the shamrock (now the emblem of Ireland) as an illustration of the Trinity. The links with the celtic fringes is obvious – Wales, Ireland, Brittany, etc. As is also the link with celtic iconography in the Shamrock. The celtic versions of Christianity were superceded by the Roman, but again, as with St. Valentine, the earlier forms and icons have challenged and on occasion overflown the attempts to subdue the exuberance and joie de vivre which they contain. To all who enjoy our celtic inheritance, may we wish you a very happy St. Patrick’s Day.